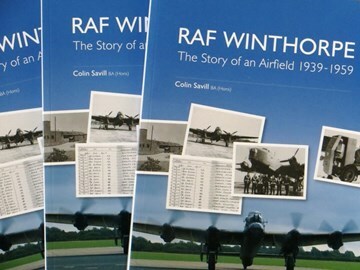 RAF Winthorpe – The Story of an Airfield 1939 - 1959 is the new book by Colin Savill BA (Hons), which has been published by the Newark Air Museum. Copies are now available to purchase from the Museum Shop! The book is in a softback format; 216 pages (paper weight: 130gsm); circa 120 black & white photographs and illustrations; and includes a Foreword by the Chief of the Air Staff, Air Chief Marshal Sir Andrew Pulford KCB CBE ADC RAF. UK Postage & Packing (Jiffy Bag) at the following rates: First Class £3.00 per copy of the book and Second Class £2.62 per copy of the book. Costs for multiple copies and overseas mailings on application. “This is the story of RAF Winthorpe from its beginnings to its demise as an RAF Station. Whereas there are numerous books on (and by) individual personnel, of unit histories and stations, there does not appear to be a definitive account of a wartime expansion airfield. N.B. Normal museum members discount will apply on purchases of this book!